My week; fly-tippers, creative side & snow! It might be the New Year but some people just don’t change. In one of my previous posts I mentioned the council had put up a sign about fly tipping, but do people listen? Apparently not as recently someone was kind enough to leave a bed with mattress, they were even thoughtful to have left a supermarket trolley in case assistance was needed to move any of the additional items left lying around. Usually I would contact the council via their website to alert the cleaning team but was quite annoyed by how lazy and disrespectful people can be so resorted to Twitter. I have to say the council were quick in replying, either someone else in the neighbourhood was just as frustrated and had already alerted the cleaning team or the council; just moved that quickly from my Twitter post, but it was gone by the time I came home from work. The sign prohibiting being dumping their cr@p isn’t working, the council may have to consider other options funding permitting. On a more positive note I’ve always been interested in making my own beauty product, I already make my own facescrub and face masks. For Christmas my sister bought me some how to make your own beauty product books with recipes and step by step tutorials, I’ve already ordered a few things I didn’t already have at home just waiting for them to arrive. I am quite excited, I do think about the ingredients in shop bought products but I just like to have a try at doing different things and making your own face cream is one of them. Candle making has always been an interest that I’ve not ever really acted on until now. I started experimenting with making a ‘homemade’ using wax from old candles where the wick has burnt down. No point wasting perfectly good wax when it can be used. I watched a few videos and it all seemed simple enough though not quite sure what went wrong here, the dip could have happened when I moved the jar to another spot before the wax has settled enough or the wick had moved..to be honest I don’t really know and am just making it up as I go along! The problem sorted itself out once I had lit the wick and the wax melted to fill the dip. Ever noticed how some scented candles smell nice before you light them then nothing, this didn’t happen to the candle I made, I added some drops of lavender essential oil to the melted wax, I wasn’t entirely sure how many drops of oil to add so added enough until I could smell the lavender, about 20 drops. This method seemed to work as my bedroom had a nice subtle scent of lavender once the candle was lit. One tip I did take from some of the videos I watched was to use old, clean tin cans to melt your wax in. This saves on cleaning and you don’t have to worry about ruining a bowl with the wax. As for which wax to use is up to you though most articles read and videos watched suggested avoiding paraffin wax as that is bad for you and creates a lot of smoke when lit. 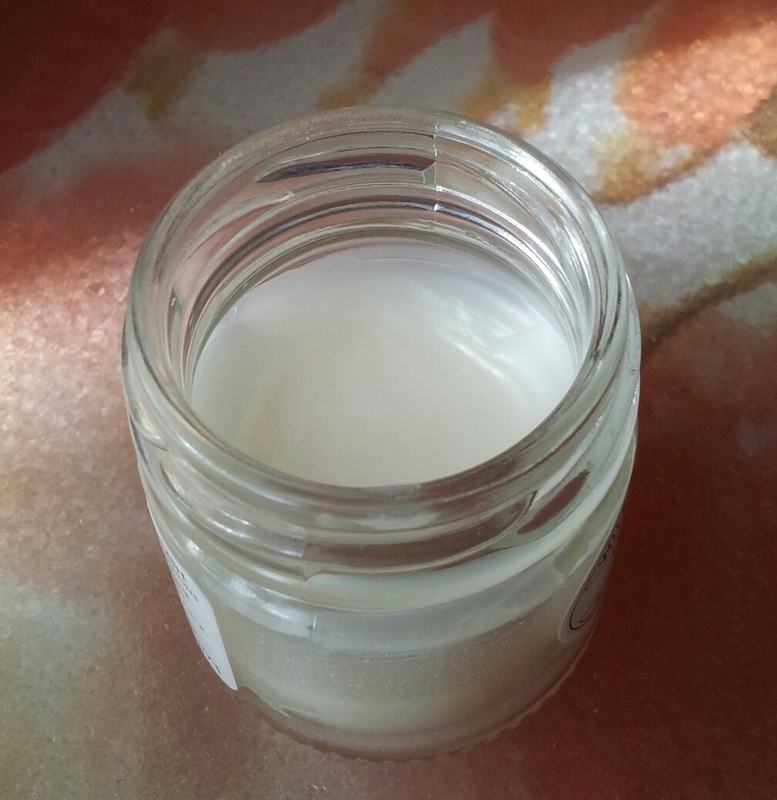 The preferred waxes seemed to be soya wax or bees wax which I am going as I can also use it to make lip balms. I’ve put links to the candle making videos I watched below if you want to have a go yourself. Winter came to the south, The weather forecasters got it right even down to the time sleet was expected to hit. Yes it was cold and not much fun to drive in but is it a cause to panic? Not really. Many people have embraced the snow by making snowmen but for me think I would be happier tucked away indoors. Seeing as that isn’t going to happen I’m just going to plough on through it. ;-). Shed repair, creepy neighbours & beauty experiments! 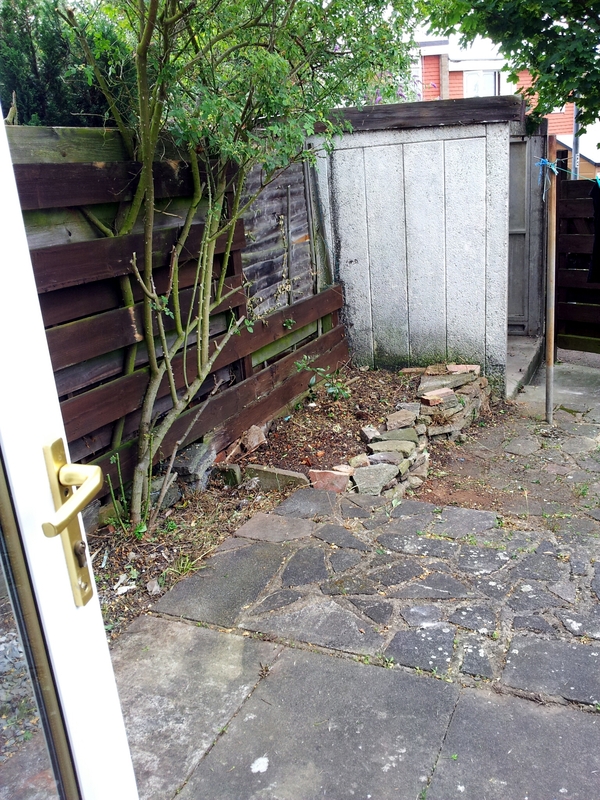 As mentioned in one of my blogs posts, phase one of the evil shed repair began on Friday. Fortunately the two outer walls were strong enough to stand up on their own, measurements have been taken for the roof and the middle wall so with a bit of luck I could have a completed, functional shed by the end of the week-I’m trying to contain my excitement! I’m thinking of building bridges with my neighbours as at the moment they have a habit of just staring that gives me the creeps. So instead of staring back I’m go down the nice, nice route and actually say ‘hello’, throw them off a bit and see what happens. I doubt the conversation will go much further as I don’t think they can speak English! One of my housemates was home that day so we decided to tackle the jungle of a garden. We trimmed the trees, cleared the rubbish, bags were filled up and taken to the dump. It was an exhausting, back breaking experience but the garden looks a bit bigger and we easily use the washing line! We know my history with gardening, plants just do not survive for very long in my care, but for some reason the strawberry plant has been revived for another year and is back in bloom along with another plant that I definitely thought had given up the ghost and gone onto the big ol’ garden in the sky! With renewed confidence I’ve bought a chilli plant, what are its chances of survival is anyone’s guess! I feel like we should have a moment of prayer to wish this chilli plant a long and happy life..or at least until the end of the summer which isn’t very long in the UK! 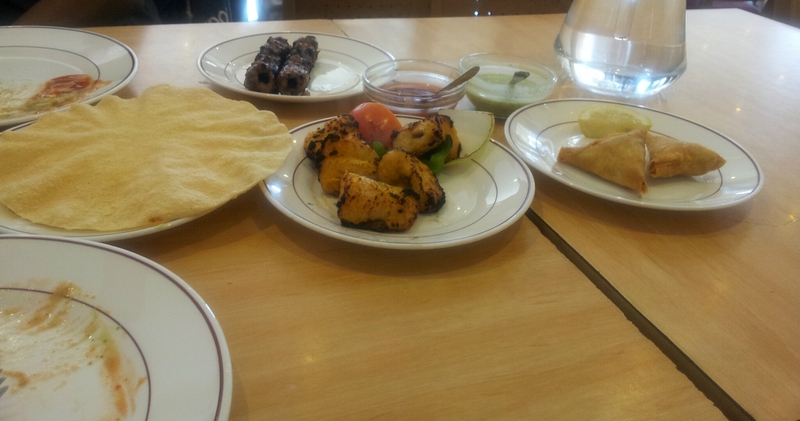 Saturday I visited an Indian restaurant called Mirch Masala. I’m not a great fan of Indian food places as I always end up comparing it my mums cooking however, in this case I have to admit the food was surprisingly good. I would say if you can avoid using the toilets. I don’t know what the men’s was like but I definitely was not impressed with the ladies. I skipped dessert as there was no way I was going to manage anything sweet. With a full stomach and the warm weather I’m surprised I wasn’t practically comatose! All my ingredients to make a few homemade beauty treatments arrived. Experiment #1 was the body lotion. At first it all looked like it was going well until the oils and wax had set, the final product looked like a candle. Using some cheap hand whisks I pumped those arm muscles until the block resembled a creamy texture. Overall I’m pleased with my first attempt, I’m reusing a Nutella jar for now. Experiment #2 was the lip balm. This is so easy to make, bit of beeswax, bit of coconut oil few drops of peppermint, melt it all down, let it set and there we have lip balm.